Wanted to end the year with one last post about our recent drive to Mangalore, the coastal capital of Karnataka. 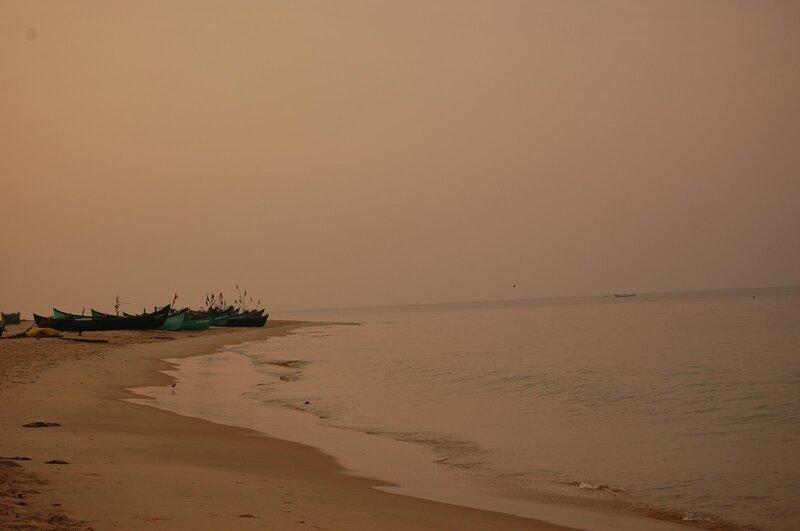 Mangalore is located about 360kms from Bangalore and is well connected by road and rail to Kerala and Goa and has an international airport as well. 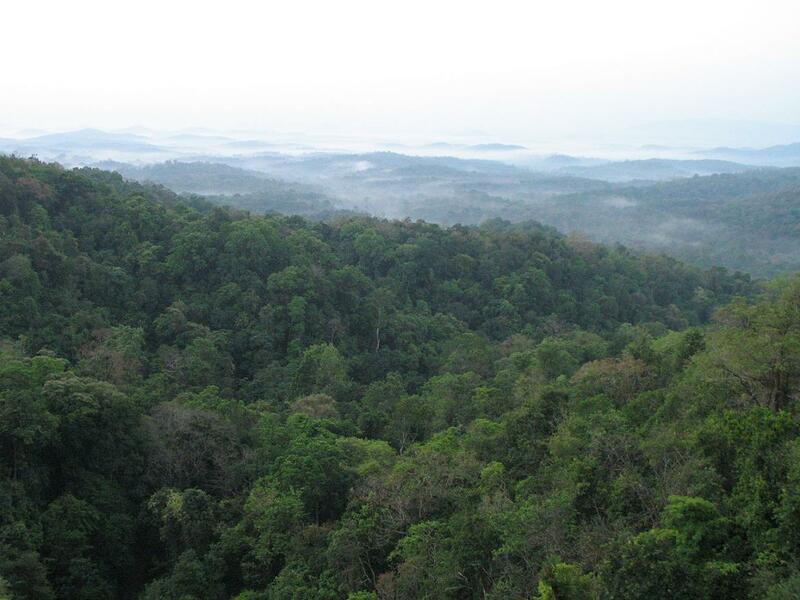 This destination makes for a wonderful drive from Bangalore with two distinct route options. The first and shortest is via Hasan, Shakleshur via Shiradi Ghat (360kms – 7.5 hrs) and the second is via Mysore and Madikeri, Coorg (400kms – 8.5 hrs). Unfortunately, about 20 – 30kms on both these routes are in terrible condition due to heavy rains and low quality of tarring. The only positive on the second route via Madikeri is that, there is road widening underway and we should expect top quality drive by the mid of 2014. Both these route are equally scenic as we go over the western ghats to get to the coastline. 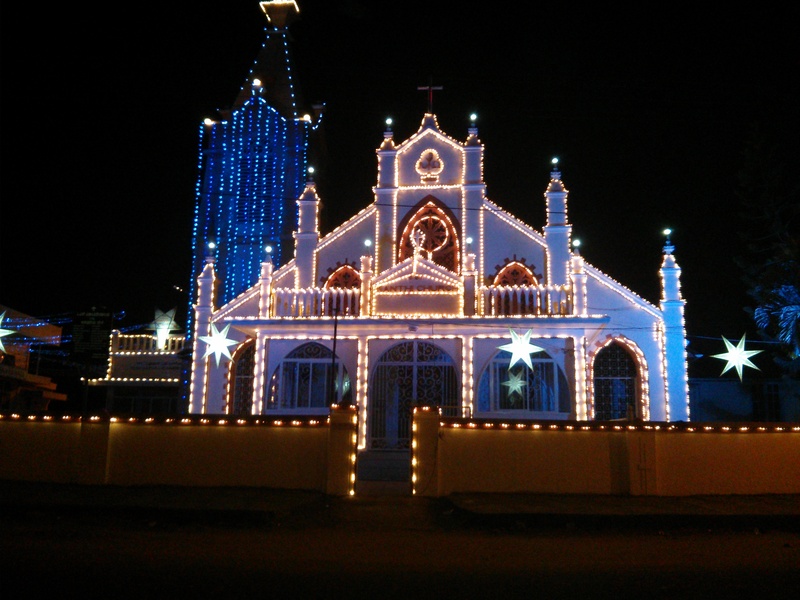 Mangalore being a quieter city as compared to Bangalore is growing rapidly. This is partly due to the student population making this city their temporary home. The city boasts a large number of educational institutions including popular medical and dental colleges. The city has seen a spurt of malls and multiplexes and the breaking down of old traditional residences to make way for newer apartment complexes. Regardless, this city is worth a visit for it mouthwatering seafood and pristine beaches. 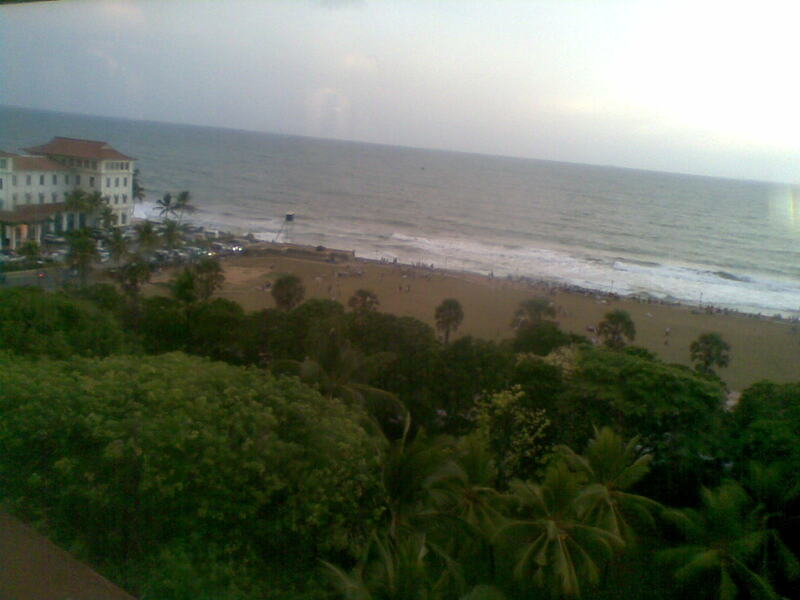 Towards the north of the city lies Tannirbavi beach which is again slightly unsafe for deep sea swimming but the adjacent Panambur beach is ideal for water sports. Further ahead is the less crowded Surathkal beach right opposite the NIT campus on the main Mangalore – Udupi highway. 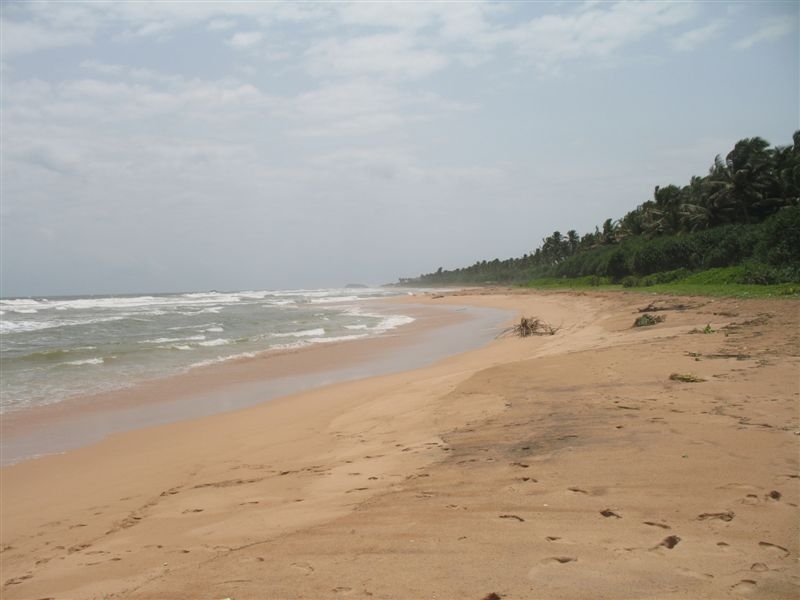 Continue driving on this route and you will hit another popular beach called Kapu close to Udupi. This beach is very popular among the youngsters and for its light house which makes for a good photo opportunity. The best time to visit Kapu is during sunset. Close by is the popular uninhabited St Mary’s Island which can be visited on government manned boats for a nominal fee during the day. Back in Mangalore, you can do a bit of shopping at the many new malls such as City Centre or Bharat Mall or the local Hampankatta Market. But the best part of this city is its local cuisines and its Ice Cream parlors. 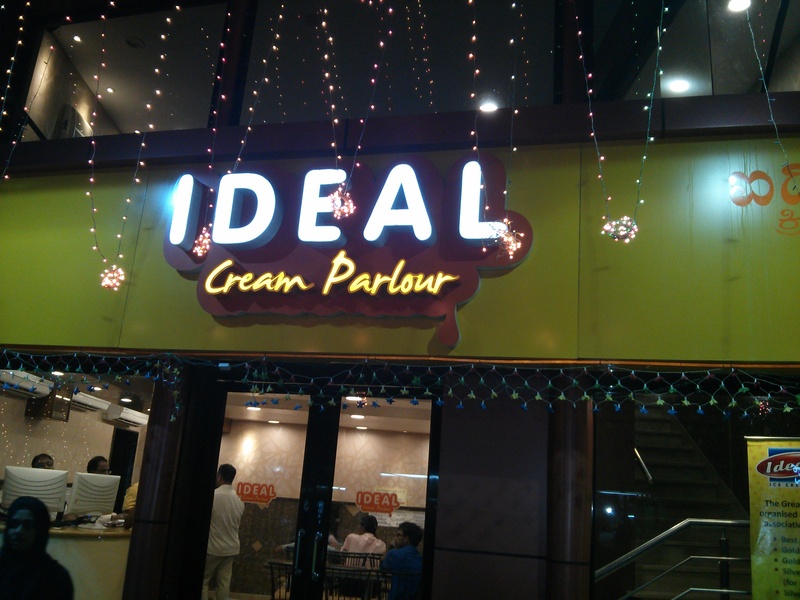 One must visit Ideals Ice Cream parlor to try out popular varieties such as Gudbad, Parfait, Banana Split, Tiramisu, Royal Falooda and many more. They have quite a few branches across the city and are priced between Rs 20 – Rs 75. We highly recommended this joint. 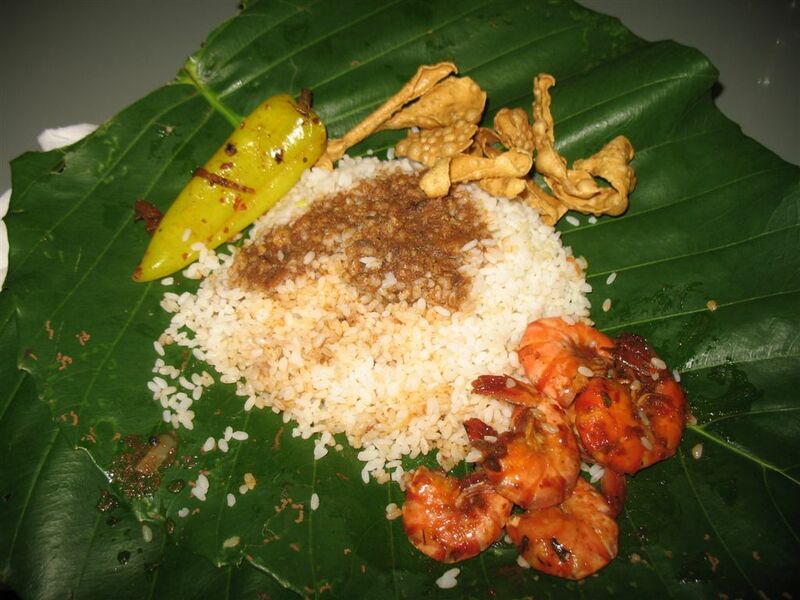 Popular restaurants such as Maharaja, Goldfinch and Amanthran serve the best mangalorean cuisines. 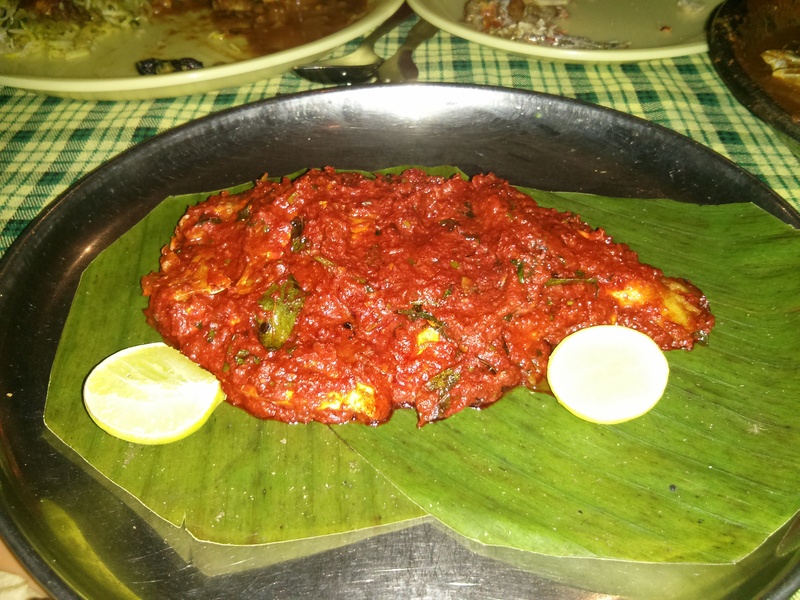 Kane Masala Fry, Crab Sukka, Prawn Chilli, Chicken Ghee Roast, Kori Roti and sannas (soft idlis) are popular among the locals and are priced between Rs 80 to Rs 350 for Kane fish. So the next time you happen to visit this sultry city, don’t forget to visit one of the local restaurants. Cashews are very common in this region and are used liberally in many preparations. Sweets such as Cashew Macrons, Banana Halwa, Sweet Potato Sticks (Sonte), Rice laddoos and Plum cakes are popular in the region. The city is connected by private bus service which is clean, fast and cheap followed by Autorikshaws. The best time to visit is between October – February and don’t forget to carry your sunscreen lotion or an umbrella. If you do not wish to drive down, you can opt for the reliable KSRTC Volvo bus service or take the train from Bangalore which offers splendid views of the western ghats early in the morning. 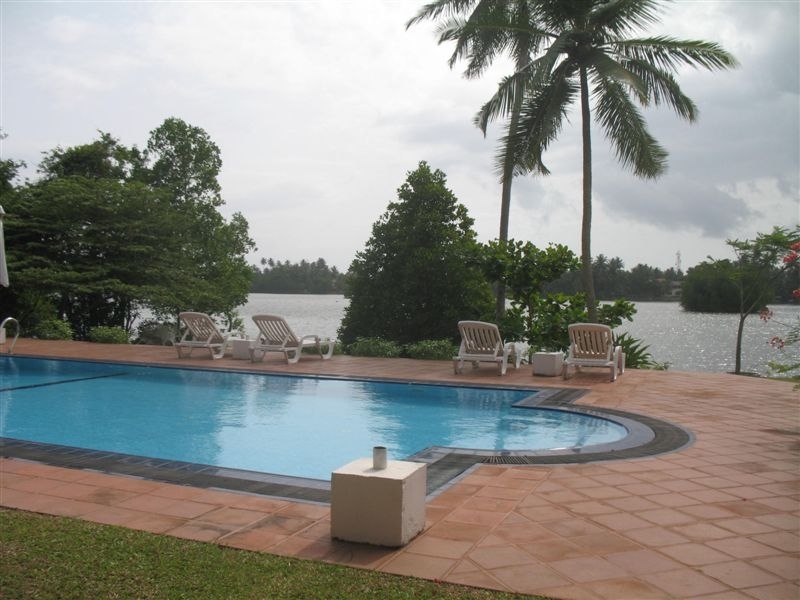 Mangalore offers many accommodation options from service apartments to hotels and are very decently priced. If we have missed anything interesting in Mangalore, do comment below. This small little island just off the coast of Kanyakumari (the southern tip of india) has been bubbling with activity in the recent months. In May 2009, the Sri Lankan Tamil Tigers terrorists surrendered themselves to the army ending 30 yrs of war and misery for this beautiful island nation. Today, the island which is covered with beautiful beaches and lush thick forests is attempting to revive itself by attract travelers to showcase their natural wealth. So if your looking for a cheap, yet beautiful destination to spend a few days, then this is it. We did the same and grabbed an interesting offer by Kingfisher airlines (before they shut down their service from Bangalore) which offered a 3 night vacation which included airfare to Colombo and back long with a 5 star stay for as little as 13,000 Rs per head. It was cheaper than flying to Delhi and back from Bangalore, so i guess it was a bargain. We packed our bags and after a 2 hr flight we were in Colombo’s international airport which is bout 30kms from the city. We reached our hotel Taj Samudra on Galle Rd (popular area) after a few security checks on the way (they are still a bit paranoid n hence extra cautious) and checked into the sea facing rooms and decided to explore the locality. The Sri Lankan Rupee is lower in value than the Indian rupee by 2.15 times but the prices are pretty much the same or more. 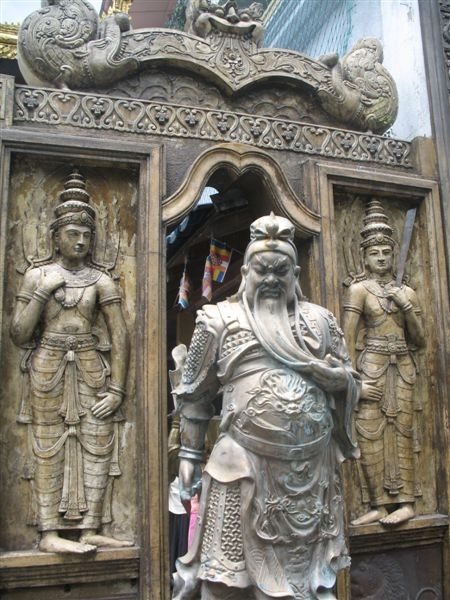 Note: You will need to get comfortable with their constant security checks and always carry your passport with you. We discovered a small mall near our hotel called Crescat Boulevard and picked up a few souvenirs and experimented on Sri lankan cuisine at the food court. A meal will cost between Rs 200 to Rs 350 Sri lankan at the food court. Few other malls include Majestic City Mall, Odel House and House of Fashion. One thing we always do when we travel abroad is to visit the local supermarket in that country. This is where you get a feel of their eating habits and also get to check out their local food. Tea being very popular in the region, we picked up quite a few varieties of tea (regular, lemon, peach, mango & black current). At nite we discovered a street market infront of the beach opp our hotel which sold some interesting varieties of prawns and chicken. This was our dinner the second evening in Colombo and we thoroughly enjoyed it. 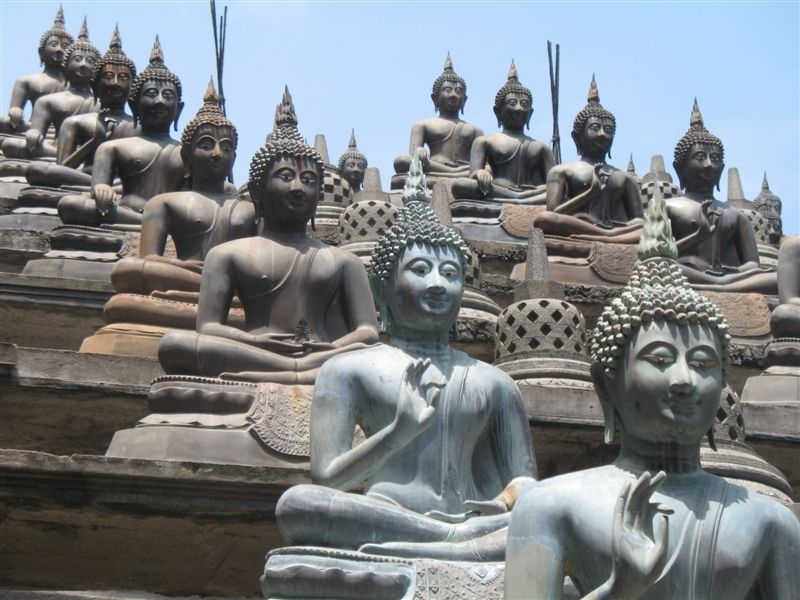 During the day we rented a rickshaw (transportation is quite expensive) and visited the floating temple called the Gangarama Temple (buddist temple) which has a vast collection of antique artifacts which is very well preserved. There are a few old churches across the city which are worth a brief visit and a few parks, but besides these there isn’t much to do. 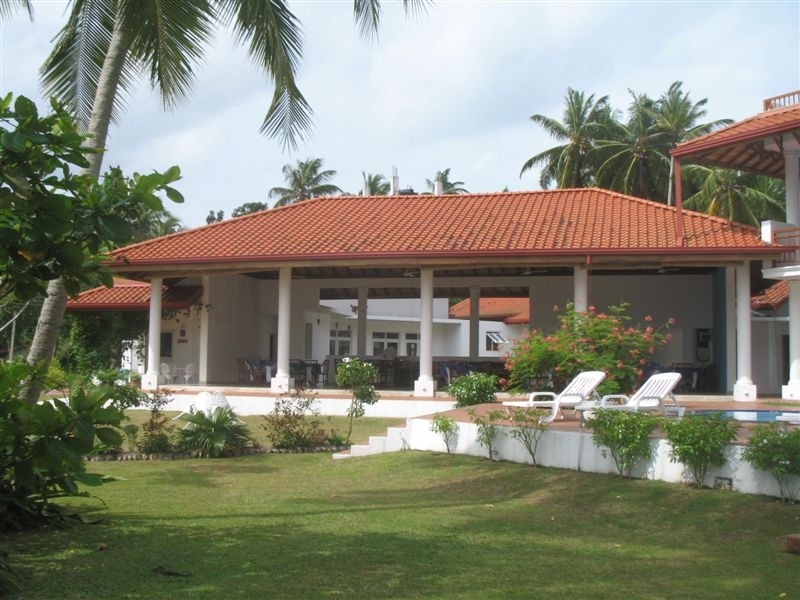 So try and relax on some of their popular beaches, shop at the malls, pickup some gems n rubies and try authentic sri lankan cuisines. House of Fashion is a good place to spend time for the price conscious shopper since you will get some good bargains on clothing and visit only certified stores to pick up precious stones since there are lots of fakes around. The third day we hired a mini van from a local company (Kangaroo Cabs) who gave us a good deal and visited a popular beach destination called Bentota. This is about 60kms from the city and is away from the madding crowd with clean sandy beaches and lovely resorts (Taj has a lovely property here). This is a good place to stay overnite and get a nice massage while your at it. Since we were visiting for a day, we stopped over at a lovely resort on the backwaters called The Waterside for a leisure lunch. On our way back we stopped over at a souvenir shop but it was shockingly expensive.. guess it was targeted at the american tourist since everything was priced in dollars. Back in the city, we attempted visiting their local market which was a big disappointment. Another item on our list was to check out their casinos which was a bigger disappointment since they looked so dingy and small with hardly any options. They didn’t even have slot machines which was quite a shocker for us first timers. Our hotel’s nite club was shut down for renovations but the pub was pretty decent. We did manage to use the heated pool, club house and spa facilities on two occasions though. But the best part of our journey was the beach walk at nite and the amazingly sweet tender coconuts. Odel is a very popular brand in Sri Lanka and its worth picking up a few t-shirts from here and so is their tea (Dilmah is quite famous). We were promptly picked up from our hotel and dropped back to the airport and after another 3 rounds of security check we boarded our flight back to Bangalore. Overall it was a nice n inexpensive get-away but wish we had more time to visit the mountains and forests near Kandy which is in the central part of the country. We were just able to brush thru the borders of this beautiful nation and will definitely get back there for a longer visit. Recently, a new cruise ship has started operations from Kochi to Colombo which should be a good experience too. If you visit a casino in your hotel cab and do not spend money on the games, you will need to pay for the cab fare, else its free since the casino pays for the cab ride. Do not get intimidated by the gun men in uniform at every corner of the city. They are there for your own safety.